As a child my parents would read me Alice in Wonderland and I marveled at the thought of being able to find such a magical land. 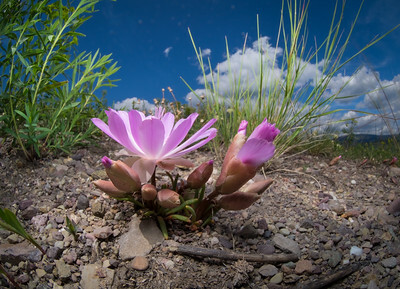 Find it I did, here in the wilds of Montana by uncovering a new way to get striking close-ups of the curious wildflowers that inhabit these fascinating places. 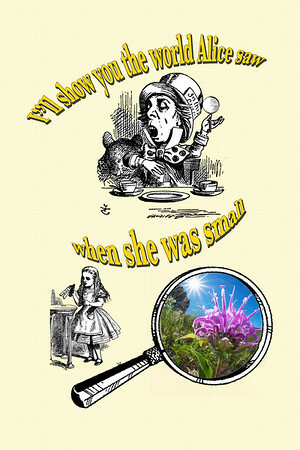 I capture this fanciful world from the unique perspective of a 6” tall Alice. This angle lets me to bring in a brilliant sunburst which reflects the excitement and joy I felt as a child at the thought of finding just such an enchanted place.